Colleagues who took part in one of the previous editions testify to the incredible team spirit on the trips, and of the heartwarming contact with the local people in remote villages. 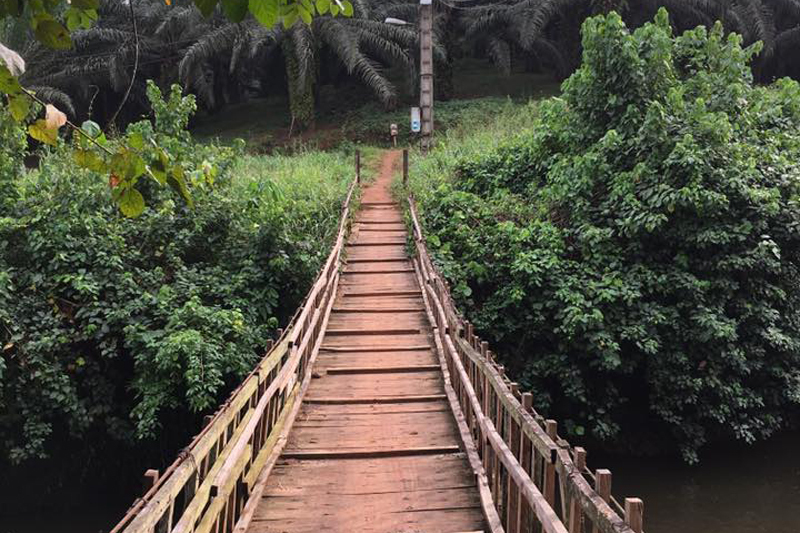 Earlier this year, Bike for Africa was welcomed by SOCFIN in Grand Béréby, Ivory Coast, a beautiful rubber and palm oil plantation, for a 4 day long biking tour. It turned out to be an unforgettable experience for its participants, Brussels Airlines and Socfin staff and management alike. The plantation, a concession of nearly 35 000 hectares of tropical agriculture, with two thirds of that dedicated to rubber and the remainder to palm oil, and its well-maintained road system is a perfect environment to explore Africa at its best. 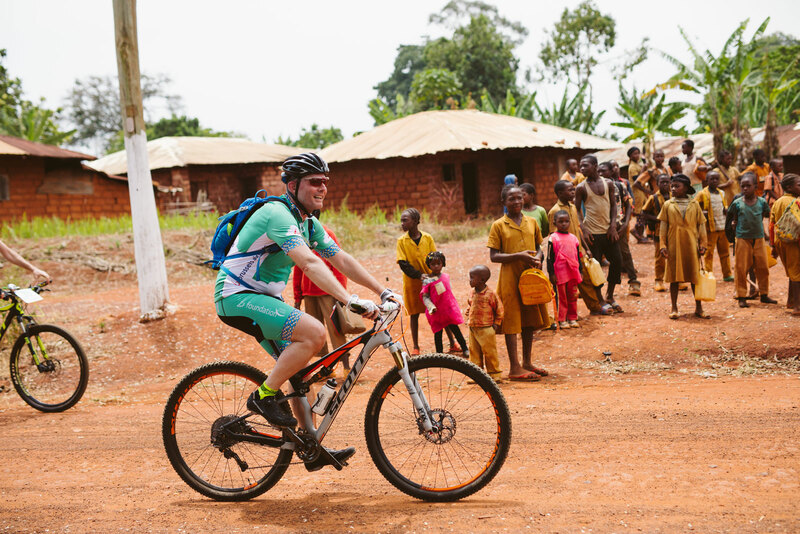 The first ever Bike For Africa, North America Edition took place in October 2017. This edition was a road biking adventure from Niagra Falls to New York City over about five days of wind in your hair, sun in your face biking. The fourth edition of our mountain bike adventure (1-7 March 2018) will bring us to this amazing country that is nicknamed “Africa in miniature” for all it has to offer! Over 5 biking days, we will cross the southern part of Cameroon, terrain that includes rain forest, desert plains, mountains and high plateau. 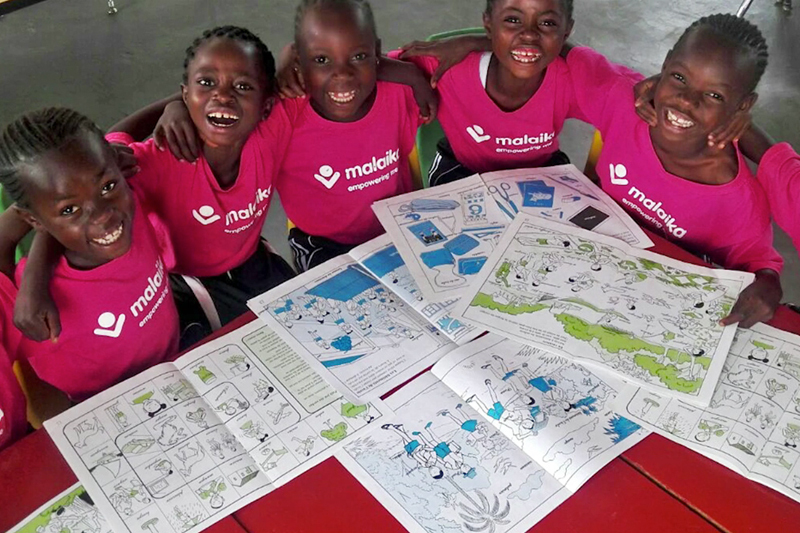 From 27 January till 3 February 2016 Bike for Africa III headed to West-Africa : this 3rd edition of Bike for Africa brought us to Senegal and The Gambia. West-Africa needs our support after the Ebola crisis, and we believed it was a unique opportunity to put these countries in the spotlight. 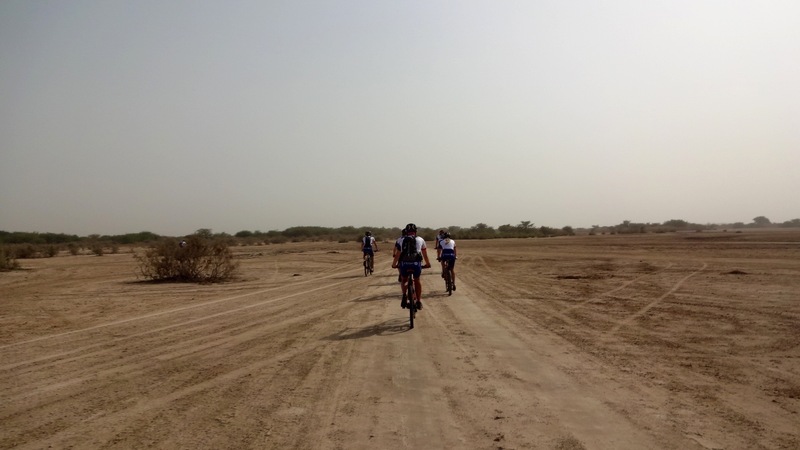 In 5 biking days we crossed Senegal and The Gambia, a country of steppes, grassland, tree savanna and dry open forest formations, cycling along villages with traditional mud cabins and huge baobabs. In January 2004, the 70 particpants of the second edition of Bike for Africa followed in the footsteps of Winston Churchill and Sir Henry Morton Stanley in Uganda. The trail started at the legendary source of the Nile (Jinja) and continues north to the magnificent national park Murchison Falls, with most of the biking taking place in off-road conditions over a distance of 450 km. 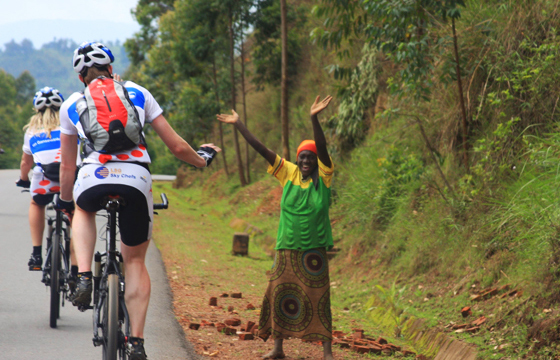 In November 2011 Brussels Airlines organized the first edition of “Bike for Africa”, a mountainbike trip of about 300 km from Kigali (Rwanda) to Bujumbura (Burundi). From 11th to 16th November, a group of about 50 Brussels Airlines people together with a support team and some sponsors biked from Kigali (Rwanda) to Bujumbura (Burundi), a trip of 280 km through the “land of the 1.000 hills”.